For those totally unfamiliar with the concept of home care services, it’s important to know what to look for. Look for home health care agency that provides a variety of services, which are generally classified under two categories: skilled care and custodial care. Skilled care is any type of care that requires supervision of a nurse or other healthcare experts such as a doctor or therapist. Custodial care is basically any type of non-medical care that your loved one may need in the home. Non-medical care includes help with cooking, bathing, shopping, and dressing. What does my loved one need now? What are my greatest concerns? 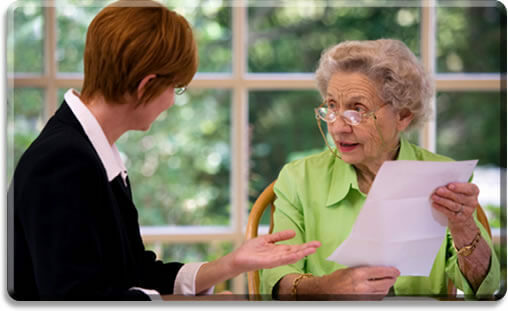 Who will determine what kind of services my loved one needs based on his or her condition? Do I have options when it comes to determining hours or days of care per week? Can I make changes as the needs of my loved one change? These are just a few of the types of questions that need to be asked. Look for home health care agency (such as Royal Healthcare), that provides an initial in-home assessment and interview with the client as well as family members. This is an excellent opportunity to broach concerns and to get to know the client. Royal Healthcare does our best to match potential clients with specific caregivers based on age, gender, preferences, likes, and dislikes as well as personality. Is there a minimum or maximum amount of hours that are required by the agency regarding care? Is care available for round-the-clock or live-in care? Will I have a say regarding my loved one’s care? Will I be included in any decisions, changes, or adaption to a proposed plan of care based on changes in my loved ones condition? These are just a few suggestions offered by Royal Healthcare. When narrowing down your choice for a home health care agency or provider, be prepared. Have questions written out beforehand so you stay on track and get answers to the questions that you have.